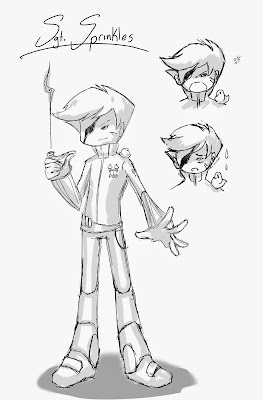 Galactose: Pastries in Space: Dear world, YOUR out-of-this-world concept artist is here! aha.. bad pun..
Dear world, YOUR out-of-this-world concept artist is here! aha.. bad pun..
HELLO AGAIN! So it looks like we WILL be going to MAGFest 2014! Look forward to meeting all of you! Here is the new design for Sgt. Sprinkles. Please let me know what you guys think. 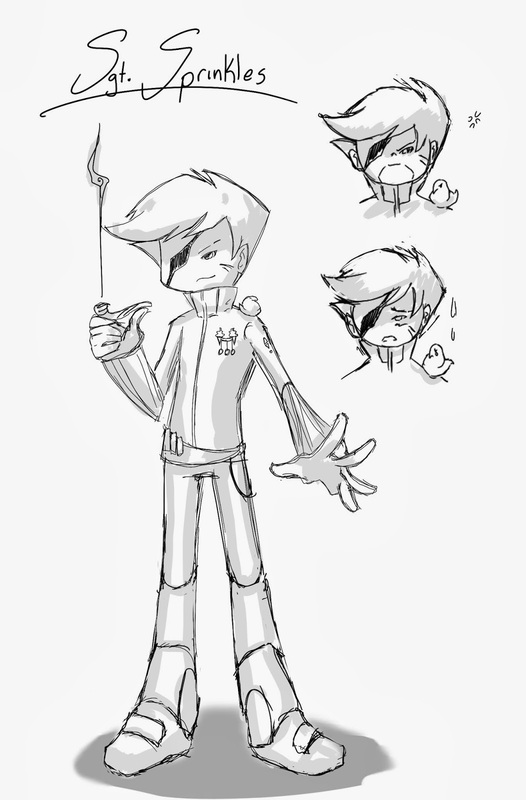 His redesign was something that needed to be done.. something that more fit our fun and cheeky game style. As apposed to his last one Here. If you like this lil guy more, I think you'll really like the other character redesigns too! Hope to see you all at MAGFest!